Sparkle and bright! Just what you need to deck the halls for the holidays! 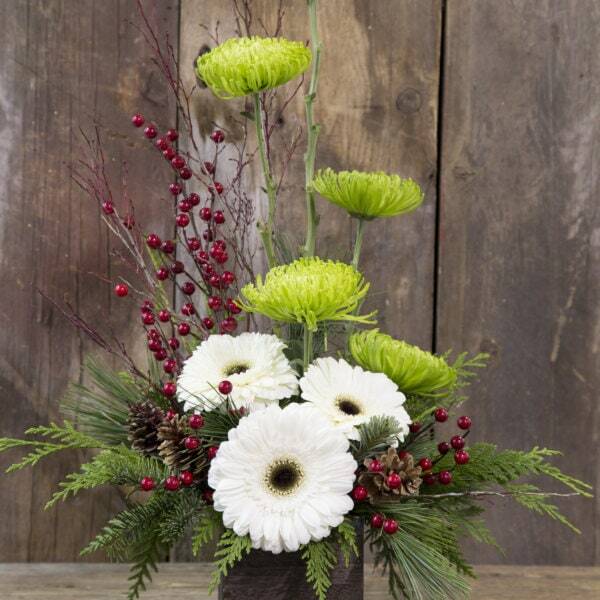 This arrangement features fresh blooms in a rustic container just perfect for the season. This design will fit on a side table or counter-top and brighten someone’s holiday!